The following excerpt, translated by Paul Sharkey, is from the Encyclopedie Anarchiste, reproducing a resolution against war and militarism from the 1922 Congress of the reconstituted, revolutionary syndicalist, International Workers’ Association (IWA – see Anarchism: A Documentary History of Libertarian Ideas, Volume One, Selection 114, for the Congress’ founding statement). The IWA continues its work to this day as an international federation of anarcho-syndicalist trade unions. 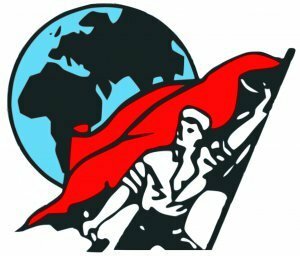 Everywhere that a new militarism has been moulded in national or liberation struggles (Russia, China), it has always rebounded against the workers themselves, because, by its very nature, it is an instrument for repressing the masses for the benefit of a privileged class and needs must oppose all freedom. So it is the primordial task of the working class not just to combat the capitalist materialism of the present but also to do away with militarism as such. The best means of combating militarism will be those that best suit the anti-militarist mentality. Above all, the point is to break up the mind-set of militarism, discipline and submissiveness by means of active propaganda, educating soldiers and undermining the foundations of armies so that they lose their efficacy against the workers. Volunteer armies, White armies, fascist armies, etc., should be the subjects of boycott even in peace time. Since the bulk of the military is made up of workers and since the technology of modern warfare in its present state, is wholly dependent upon war industries, the workers have it in their power to bring all militaristic activity to a halt by refusing to serve, strikes, sabotage and boycott, even should that military action be undertaken by White troops. The best way of laying the groundwork in the here and now for such mass action is the individual refusal to serve and for the organized proletariat to refuse to manufacture weaponry. Above all else, the object is to thwart the outbreak of a new war and, to this end, banish the main causes of war and militarism by means of effecting an economic transformation of our current social order (social revolution). 1. To spread, by practical means and with immediate effect, the refusal to manufacture war materials. 2. To persuade the workers in arms plants or in firms likely to be turned into such, that the working class has a duty to answer the threat of war with the threat of strike, to seize war materials and all other materials that might be used to manufacture same; and to render the factories useless to capitalism. 3. Affiliated organizations must, wherever they can, set up General Strike Committees, whose task it will be to look into ways and means of seizing the factories, holding them and, in the event of their being in danger of recapture by the capitalists, destroying them. They must also look into ways and means of seizing the nerve centres of national organization; rail centres and rail lines, mines, power stations, posts and telegraphs, water distribution points, health services and pharmaceutical products; they must take hostages from among the bourgeoisie, politicians, clergy and bankers. In short, they must work flat-out to turn the insurrectionist general strike into successful revolution.